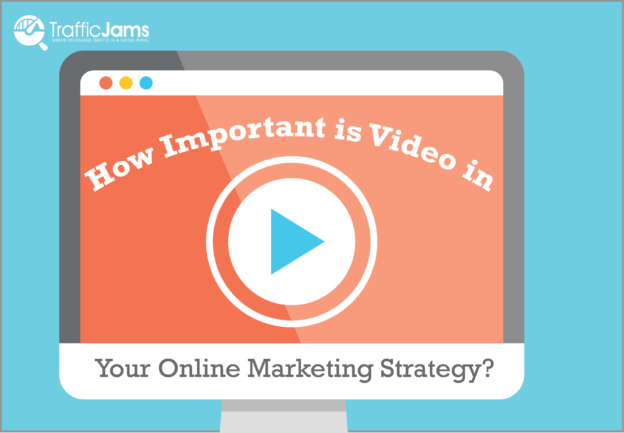 How Important is Video Content in Your Online Marketing Strategy? It seems like video is popping up everywhere. Company websites, social media and personal messages all have video content and the number of online videos continues to grow. Personal videos create fame through internet shares and exposure. Social media sites have changed algorithms to accommodate the demand, and it would seem the trend is here to stay. What does this mean for your business? Great video content doesn’t come without cost, but many see great benefits as well. Businesses that utilize video tend to show faster year-to-year revenue, experience increased traffic to their websites and see higher engagement with consumers on their social media sites. Research shows video has the ability to increase clicks that lead to conversions, and starts conversations between business and consumer. It sounds pretty great overall, because it is. According to HubSpot, video produces 1200% more shares than both text and images. Whether that video is placed on your Facebook account, or a snippet of it appears in your consumer’s email inbox, the likelihood of interaction between you and the viewer increases exponentially when they are shown video content, thus increasing the likelihood of a conversion. Video content also helps establish a brand and personality relatable to the consumer in ways that pictures and text are not. Video showcases a product or service, and then gives that product or service a personality unique to the business that creates or provides it. This gives you an opportunity to connect with consumers on a personal level before ever speaking with them face to face. Consumers build a sense of trust between themselves and your brand and this gives you the upper hand when competing against other businesses for work. It is important to remember however, that video content is not a catch all. If your business is considering implementing video in its online marketing strategy, make sure the content is relevant and high quality. Video should have an overall purpose relating back to the marketing strategy. Research shows that low quality videos will not only receive less positive feedback, they will actually increase negative feedback. Video that does not relate to a business’s purpose, or is produced sloppily or with low-quality specs makes 62% of consumers more likely to have a negative perception of a brand. When considering whether video is a smart marketing move for your business, consider the following. Does the video content relate to your business and overall marketing strategy? Is it an appropriate way to send out the intended message? Are you capable of creating the video in a high-quality, visually appealing way? If you are still unsure, give us a call at (855)599-9998 or fill out our contact form. 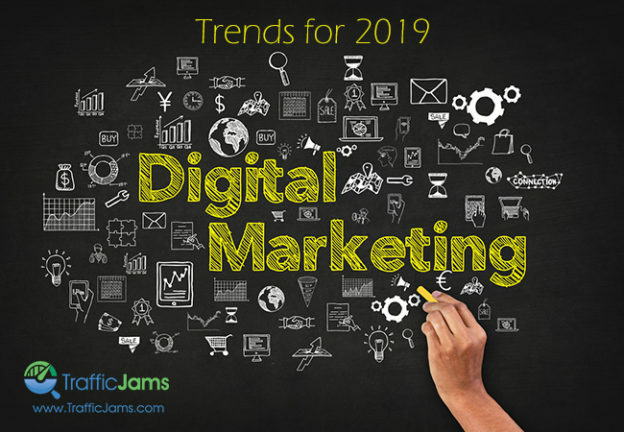 Our experienced marketers here at Traffic Jams specialize in content strategy and can help you and your business develop a plan to incorporate compelling and effective tactics in your marketing approach. This entry was posted in Video on July 29, 2016 by Becca Crook. 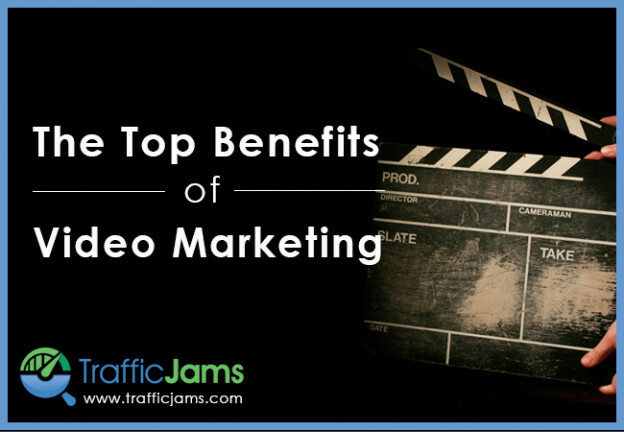 Video marketing has taken off across all forms on the internet. Whether it be integrated, sponsored or bluntly advertised, video marketing campaigns are present in almost all aspects of new media. 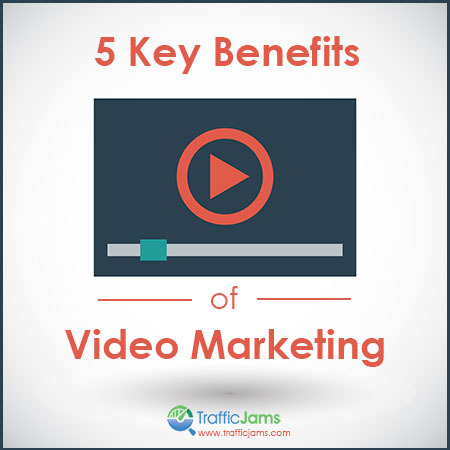 Described as one of the most results-inducing forms of virtual marketing, video marketing definitely has its advantages. But because it’s so popular, and has become increasingly easy for everybody due to technological advances, it’s easy to get lost in the mix. It’s important to know how to create a strong video marketing campaign so as to stand apart from others and reach the maximum amount of consumers with the positive results. The most successful campaigns incorporate a multitude of tactics and strategies to create effective ads and have these things in common. Consumer behavior dominates the marketing world. When creating a campaign for a brand or product, it’s important to keep in mind the reaction of the customer to this product and campaign. Know the demographics and know the psychographics of your target audience. How will you most effectively reach them? Videos are easy to understand. They are appealing to consumers. They easily provide information to a consumer that the consumer needs, but they won’t fall in love with your product just because you may love it; there is ample research that must be involved. 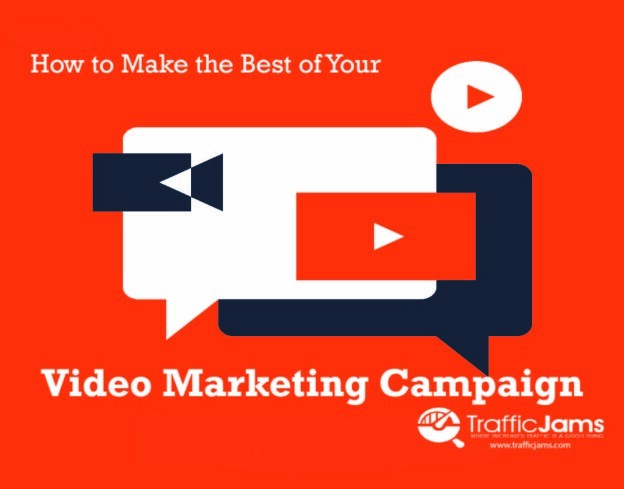 Video campaigns should have a cohesive message across all forums. This means the tone of the video, colors used and different clips on different media should all support the intended message of the campaign. The aesthetics accompanying a marketing campaign must be chosen carefully so as to convey direct and effective messages to a company’s audience. Colors should be representative of the company and the message. The message itself should be representative of the campaign’s end goal, whether it’s by comical means, serious ones, etc. By creating a cohesive campaign that elicits the same emotions throughout, campaign viewers are more likely to recognize the campaign across different forms of media. Choosing aesthetics that motivate a viewer to watch and engage with the content will send the intended message clearly and concisely to the desired audience. Video marketing campaigns that experience a ton of success don’t do so from just one single video placed on their personal website, they are multi-element campaigns. They include a well-designed video, but they also incorporate other forms of media to engage viewers and spread publicity. Using hashtags and encouraging viewers to engage with content in videos spreads exposure effectively and creates buzz on the web, and the video is published on multiple forms of media through shares, likes and re-publishing of the material. This entry was posted in Video on January 26, 2016 by Becca Crook. To be human is to be almost irresistibly drawn to video content. We spend millions of hours each month glued to YouTube, and on Facebook we collectively consume 4 billion videos every single day. So it makes sense that video has emerged as a powerful digital marketing tool, Tyler Lessard – CMO of the video marketing company Vidyard – said during a presentation at Marketing Nation Online, a virtual marketing conference held earlier this month. By 2019, Cisco predicts that 80 percent of all consumer Internet traffic will come from video content. Given its increasing prevalence, it’s more important than ever to hone your video marketing strategy to engage your online audience, boost your brand and drive business success. Having video content available across your company’s website (for example, by placing a video on the home page that plays in the background in addition to creating a dedicated page for videos) is a great way to educate people and help them become familiar with your brand. It moves people more effectively through their buying journey while emphasizing your brand’s personality. “People will build a greater affinity to your brand by interacting with video content,” Lessard said. Additionally, making video content the star of your marketing campaign is an effective way to pull people into your story and tug at their heartstrings. After encouraging emotional engagement, your video can present the hard sell or call to action, such as downloading an ebook. Because videos have higher click-through rates, and people who watch the video have a higher likelihood of downloading the ebook, this approach is more effective than presenting a call of action to download on its own, without video content. Posting videos and search optimizing them could notably improve your organic ranking. Google’s adoption of “blended search” – or the practice of displaying images, news stories, videos and other types of content along with regular results – gave marketers the opportunity to boost SEO with video content. Additionally, YouTube is the world’s second most popular search engine (No. 1 is Google, of course), so posting videos there can help your search engine rankings, on top of engaging current and potential customers. 3. More lead generation potential for webinars and events. Live webinars and events are already a great way to attract potential customers. By recording them and posting them on your company’s website, you can continue to leverage that lead generating potential long after the live event is over. You’ll also give your current customers year-round access to presentations and thought leadership content. This entry was posted in Video on September 28, 2015 by HelenA. In the world of digital marketing, plans and strategies must be cohesive or they won’t reach their full potential. Sometimes there are missing pieces, and more often than not, a major missing piece is a simple video marketing strategy. If a picture is worth a thousand words, imagine how much a video is worth! If you’re looking for an exact number, Dr. James McQuivey of Forrester has stated that just one minute of video is worth 1.8 Million words. This entry was posted in Video on June 25, 2015 by AngieM.